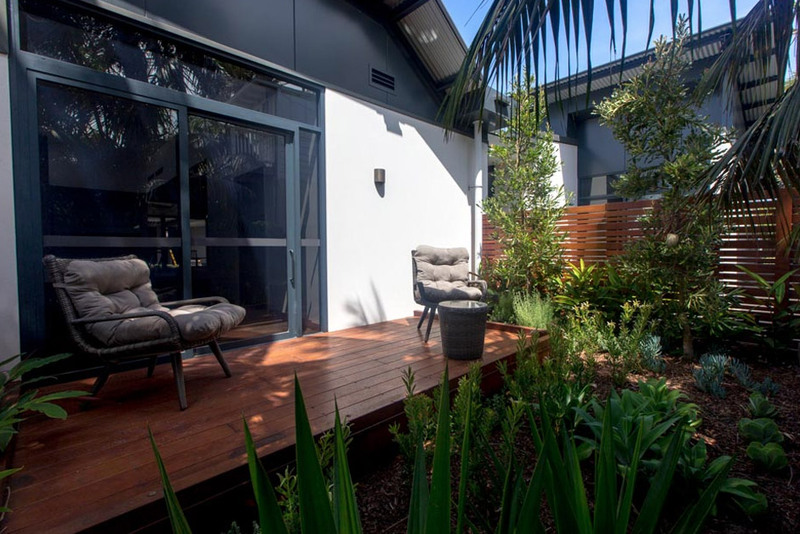 Our deluxe studio rooms are larger than the standard studio rooms and also look out onto a beautiful garden courtyard. 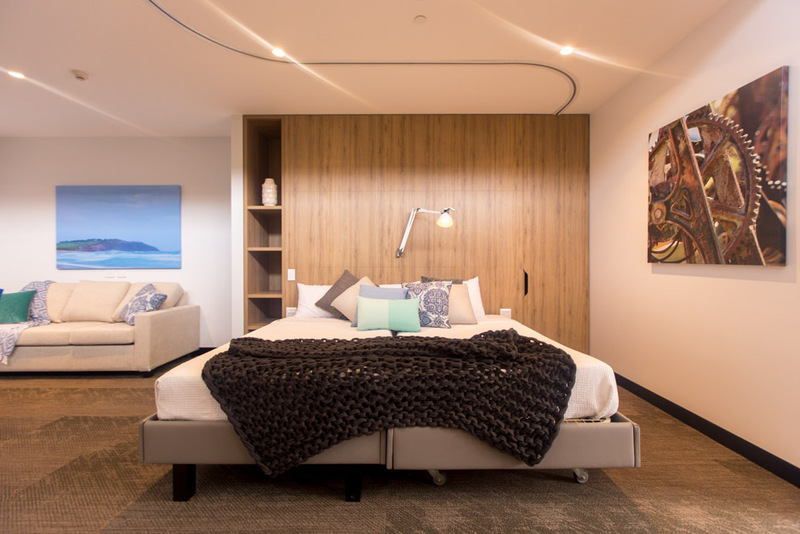 Each deluxe studio room can sleep up to four people and is perfect for individuals, couples or families. It includes two king single beds that can convert into a king size bed, a living and dining area and double lounge/sofa bed. One of the king single beds is an electric Hi-Lo bed with a pressure relieving mattress. Double lounge/sofa bed for extra guests. iPad console for easy control of doors, lights, blinds, windows, air-conditioning, heating, television (LCD TV with Foxtel, digital TV channels & a selection of free movies), intercom and free Wifi. A ceiling hoist designed to inconspicuously hide away in the cupboard. 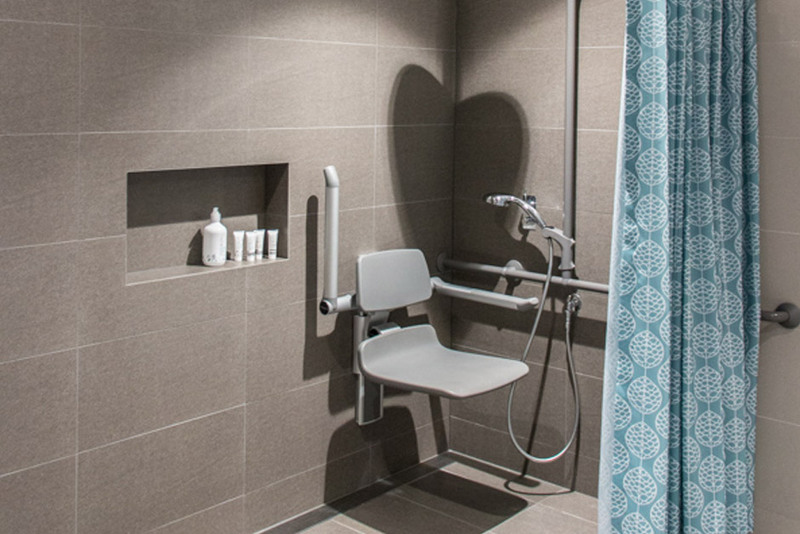 A deluxe Pressalit-fitted bathroom with height-adjustable rails and sink, heated floor and towel rail, back rest and commode, an auto flush feature, and shower rest. 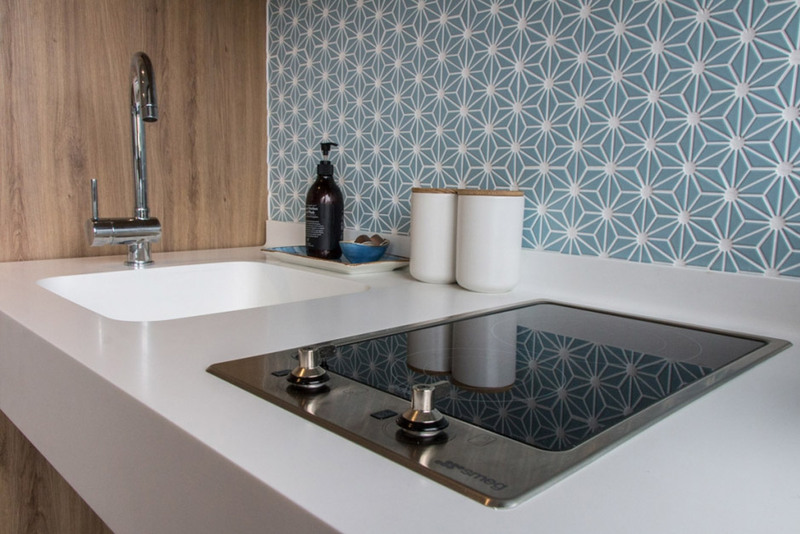 Kitchenette with a height adjustable sink, benchtop and stove, pull out pantry ergonomic tipping kettle, low heatproof pull out bench, Nespresso coffee machine, dishwasher and dining table. iPad console for easy control of doors, lights, blinds, windows, air-conditioning, heating, television (LDC TV with Foxtel, digital TV channels and a selection of free movies), intercom and free Wifi. 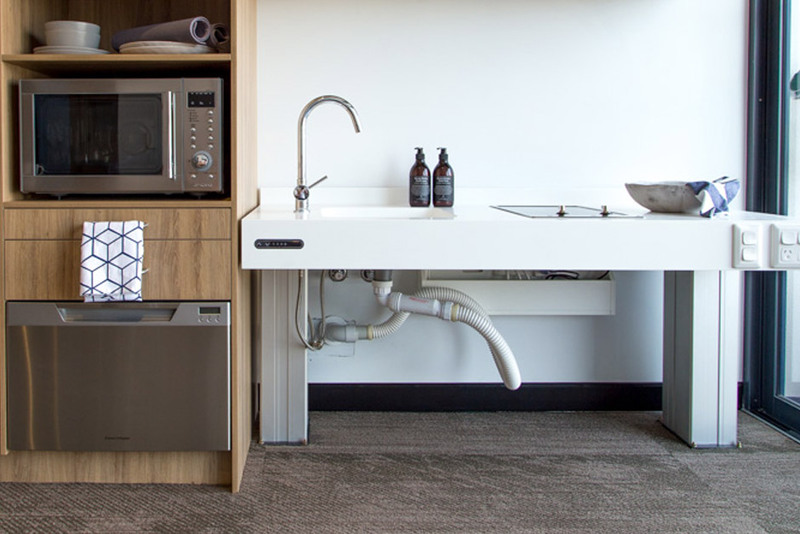 We understand that everyone’s requirements are unique, that’s why we customise the equipment in your room to suit your individual needs. 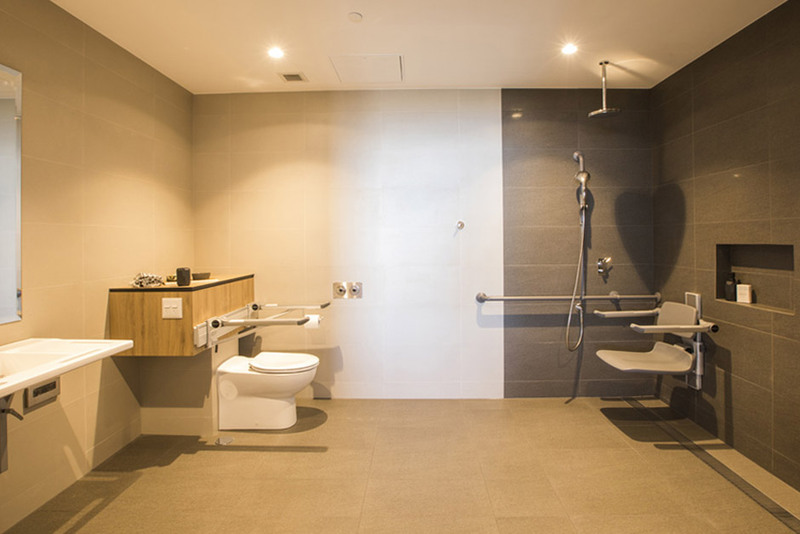 Once you have decided which type of room you prefer, you need to make a Booking Request. Once your booking is confirmed, we will send you a Booking Form to fill out outlining details of your requirements. 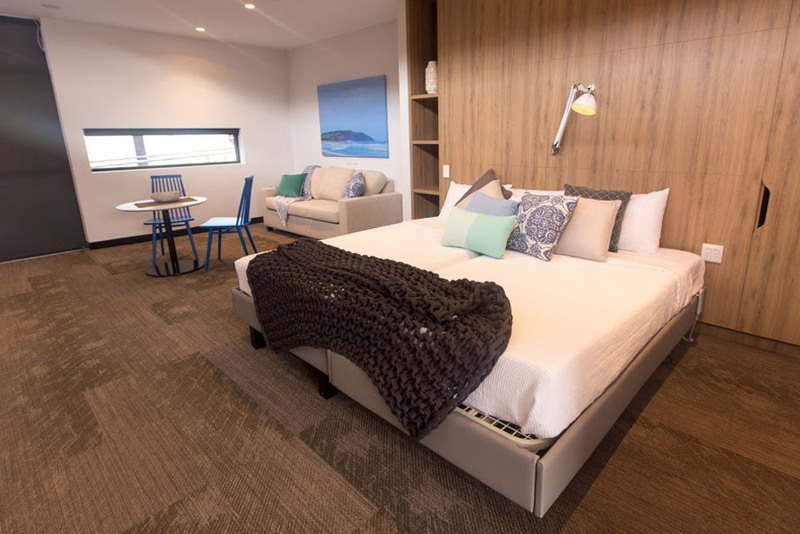 Our packages, which include accommodation in a Deluxe Studio room and access to a range of other services, may be funded by icare and the NDIS. Room upgrades are available and are usually to be privately paid for by you. 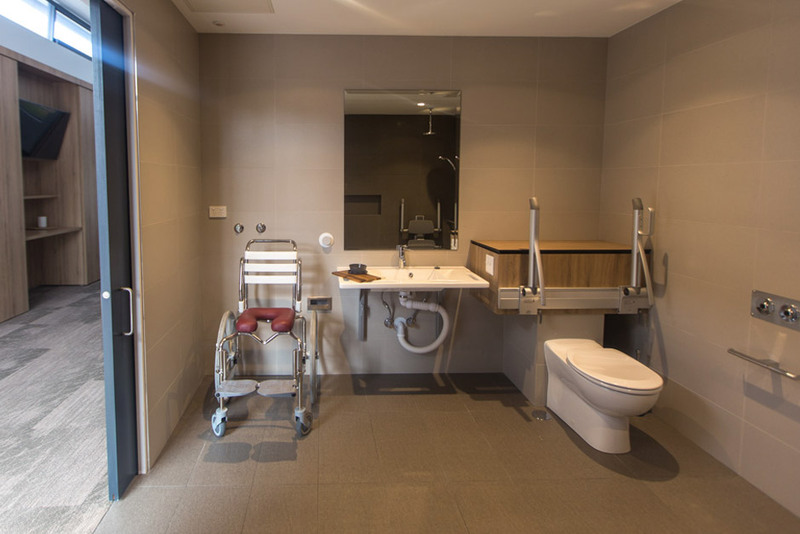 In some cases, for example if you have a large family and dependants, icare may approve funding for an upgrade to a family suite. Please contact your case manager to discuss your needs. More information on upgrades. 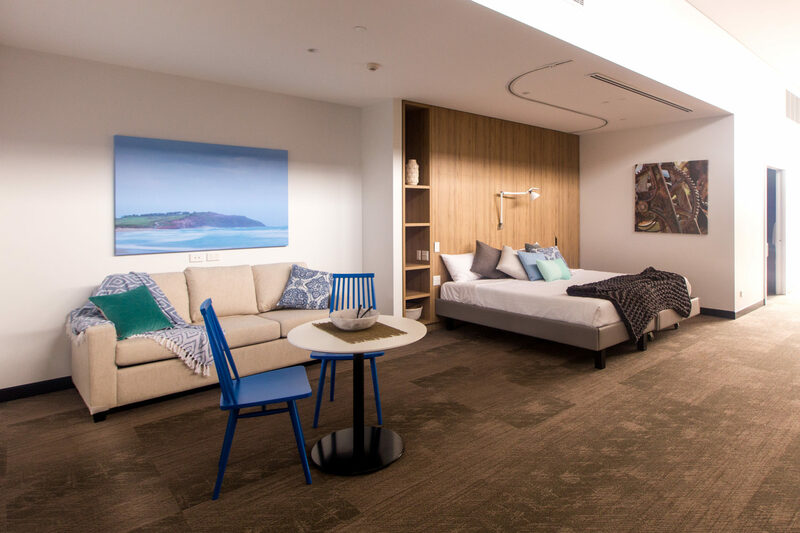 For privately paying guests or NDIS self-managed guests, room only rates start from $350 per night for the Deluxe Studio Room.